Hey friends! 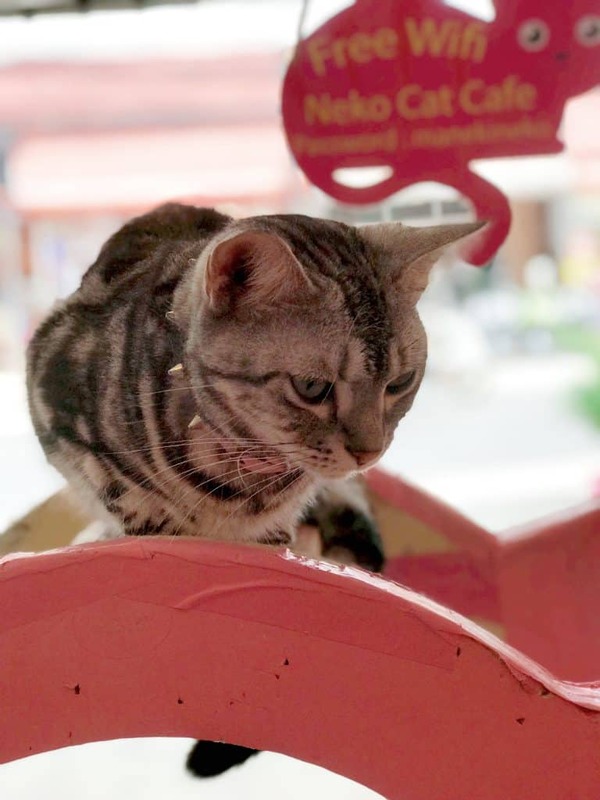 We decided to surprise the kids with a trip to Phuket’s famous cat cafe yesterday, Neko cat cafe. 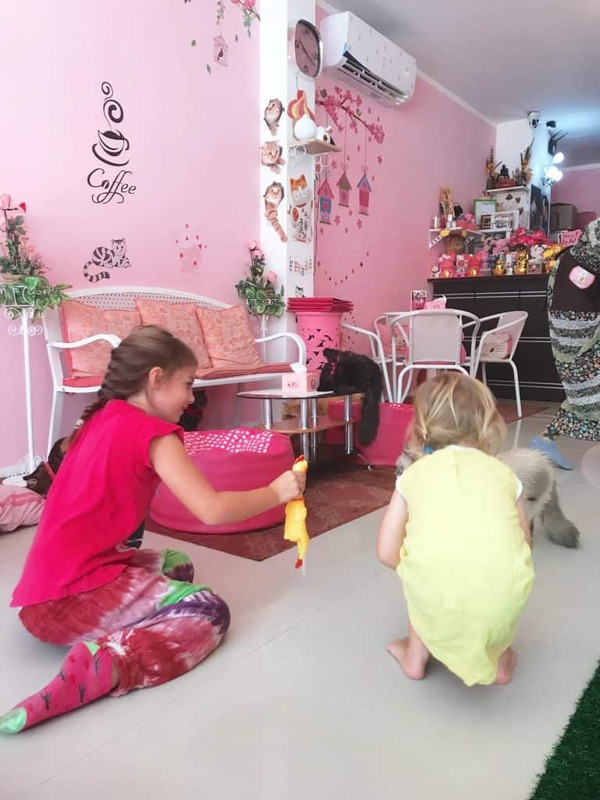 We had seen a couple of cat cafes in Chiang Mai but to be honest they didn’t look great and we weren’t sure about visiting- in the end the decision was taken out of our hands as the kids were ill so we couldn’t go anyway. 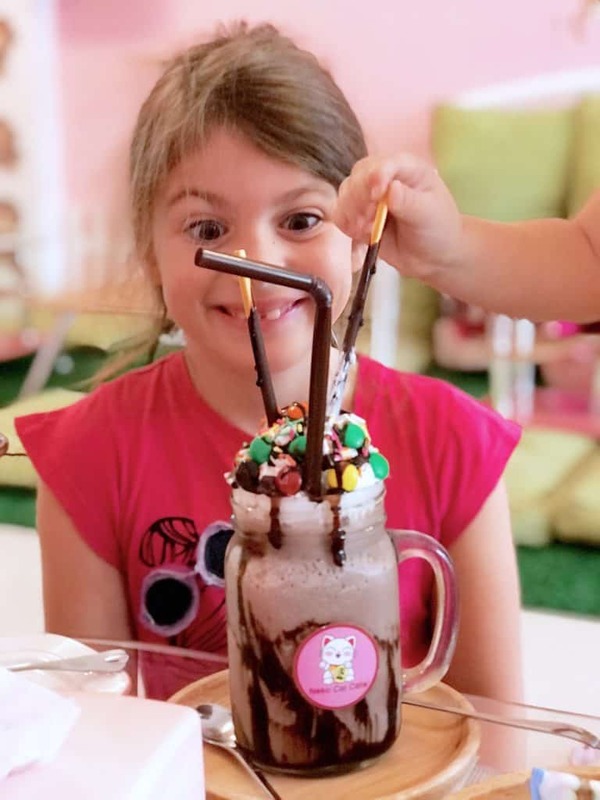 Anyhoo, fast forward to a few taps on Google (“things to do in Phuket with kids”) and we found rave reviews about Neko cat cafe in Phuket. Lots of people enthused about how much the owners seemed to love their cats and how well cared for they were. The cat cafe also looked well kept with good food and drinks, unlike the others that (from the menu and the reviews) seemed to neglect their refreshment quality and lean on the cats being the main attraction. We hopped in a Grab (taxi drivers in Phuket must be using toilet roll made from solid gold leaf, such are the prices here) and headed to Neko cat cafe. It is situated in the southernmost bit of Phuket, inland an equal distance between Kata Noi beach and Nai Harn beach. We passed several elephant-trekking set ups with tourists riding on them (boo!) that have cleverly designed it so that people can see the elephants from the road and get tempted in. (For info on our experience of a day with elephants as well as the #1 elephant sanctuary we would recommend visiting click here). Unless you have a serious feline fetish I would suggest planning a day at the beach with a trip to the cat cafe in either the morning or the afternoon. The cats are generally more active and playful in the morning and sleepy in the afternoon, so plan accordingly. 3 Would we recommend Neko cat cafe? 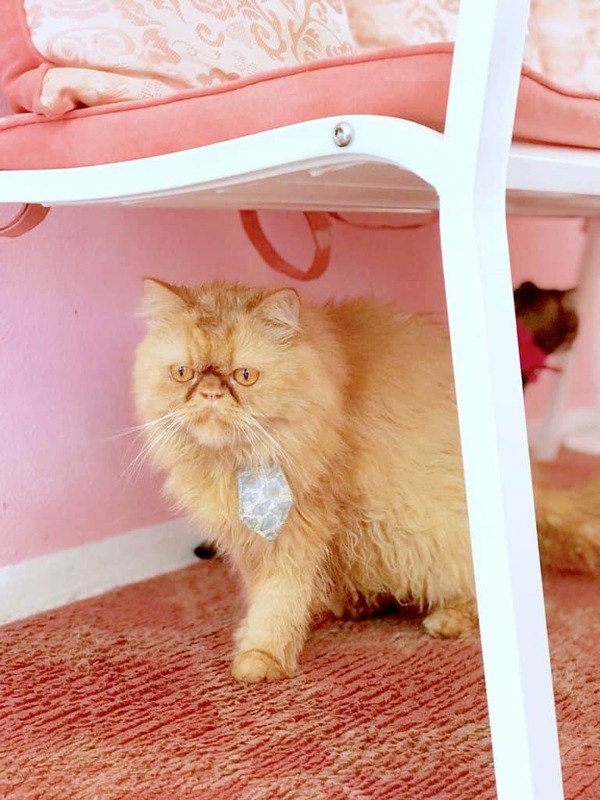 The first rule of cat cafe is you don’t talk about cat cafe. Well actually it’s not, it’s Be Kind to The Cats. 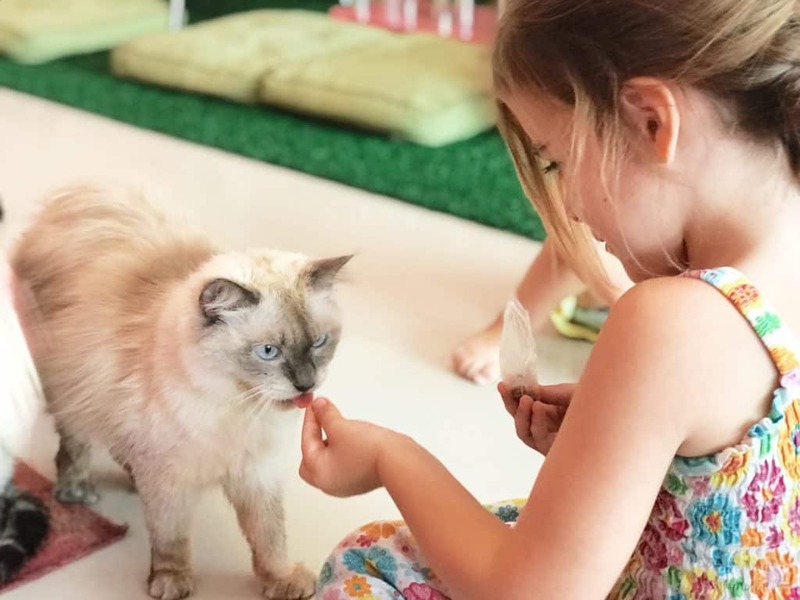 If you are bringing children also make sure you coach them beforehand on good behaviour around cats; ultimately the cafe is their home so we had chat with the kids about giving the cats space and the freedom to move away, and where/ how to touch them. 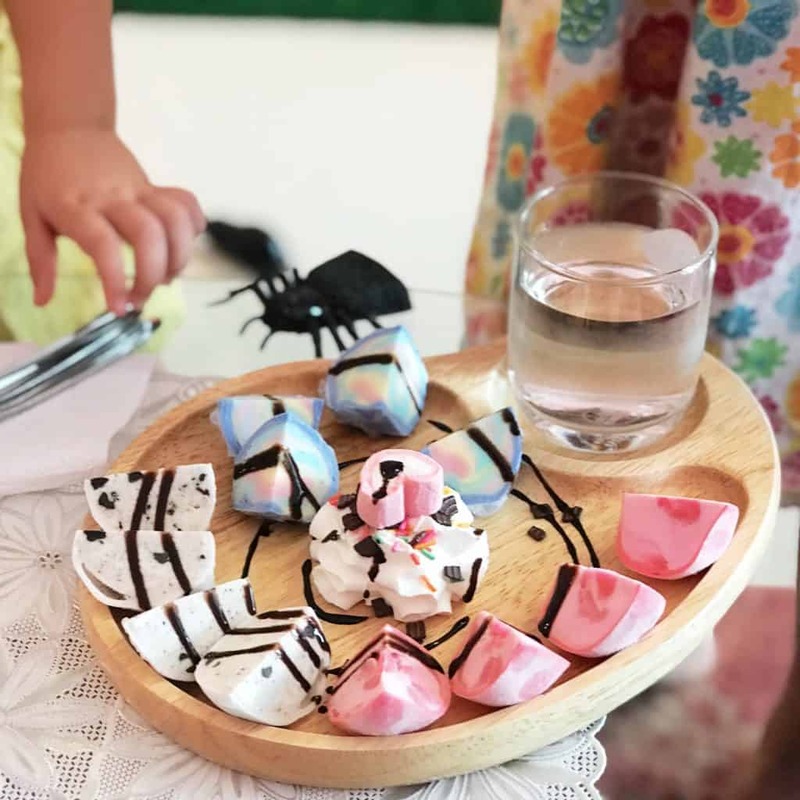 Other cat cafes have a lower age limit (usually 5) and Neko’s doesn’t, so this is especially important if you have a toddler as we do! As we entered the cafe there was handwash for visitors and a card explaining how to interact with the cats as well as ‘do and don’t’ guidelines. We called this one ‘toilet cat’- read on to find out why! Arriving at Neko’s we got a great first impression. The cats line up to have their breakfast together which was a lovely sight, and the cafe is very pretty and ‘kawaii’ (cute) in style. For our three pink-mad kids it was perfect! The menu was very good and not too pricey, especially considering we didn’t have to pay a timed entry fee like most cat cafes. 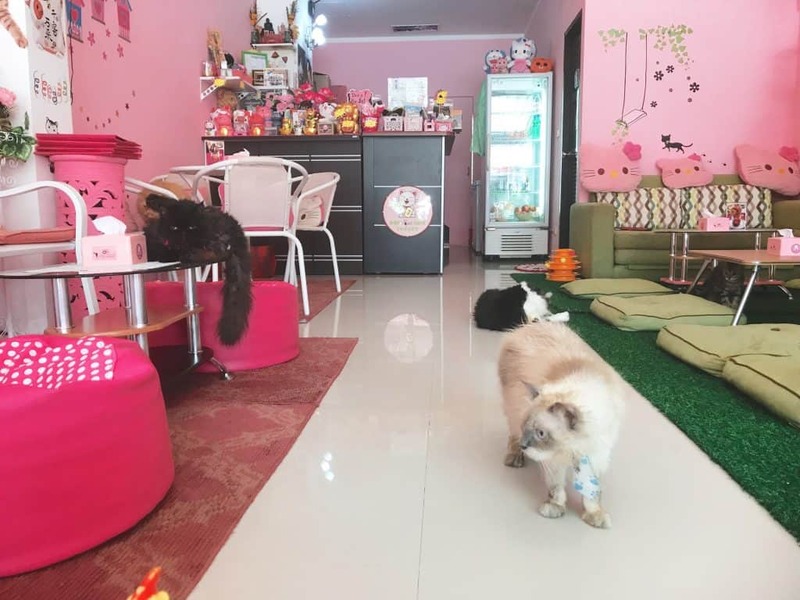 Because of “Thai law” that means cats and food cannot be in the same room in a cafe, the menu doesn’t have main courses but does offer drinks and desserts such as ice cream and cake. Go figure. There are nine pretty stunning cats inside, lording around. They’re mainly the super-fluffy types, and soon after we arrived the owner started brushing them in turn. 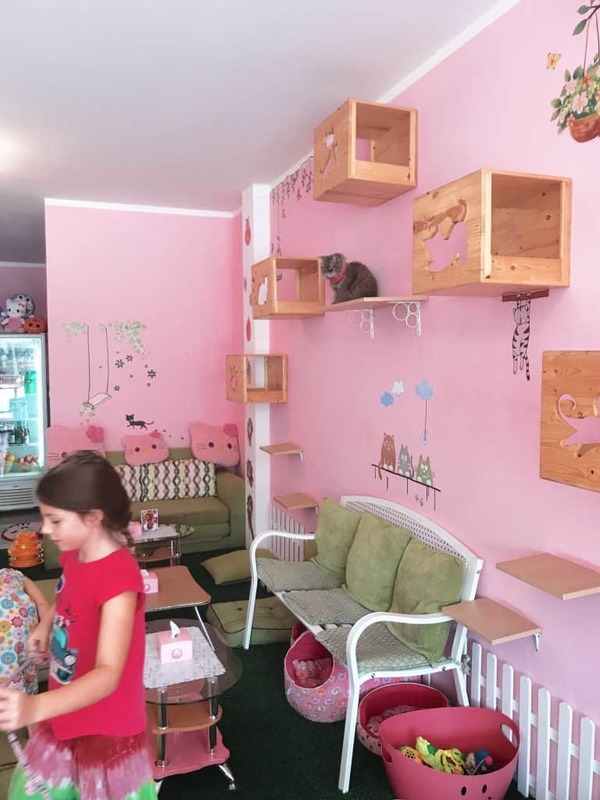 There are platforms and wooden hidey -holes fixed into the wall so the cats can hop and jump out of reach of people if they want to chill (they can also go in a separate area behind the till), and several rested up there looking down on us in the way that only cats can. The owner tried to coax one of the cats down so she could brush him; I’ve never seen such a look of disdain as this cat gave her and he resolutely stayed on his platform. There are several seating areas in the cafe including little garden-themed benches, a sofa, bean bags and floor cushions. The decor is really well thought out, it’s a garden theme with white picket fences attached to the wall and faux grass as a carpet. There’s a lot of Hello Kitty going on too- super kawaii! A big tub of toys was available for the cats to play with, and we loved getting out the bells and string and playing with them. Two gorgeous younger cats that looked like silver tigers were particularly playful, as well as this ginger fluffball that looks as though someone smacked him in the face with a shovel. Bless. One cat, a beautiful boy who looked like a silver tiger, really cracked us up- when we went to the (very pink, Hello Kitty themed) toilet, he followed us in and went mad rubbing himself all over our legs- as soon as we went out of the bathroom he lost interest and padded off to chill on a beanbag. We bought a small bag of treats for the cats and the kids loved taking them around to each cat in turn; the cats were very gentle and chilled and really enjoyed their treats. I don’t know much about cats but I would guess that morning time is better to visit as if people buy them treats in the morning they might not want them in the afternoon? Esmae had a fab time making toys for the cats out of the balls, ribbon and bells in the tub, and the youngest cat in particular was very playful and had a grand time leaping about. 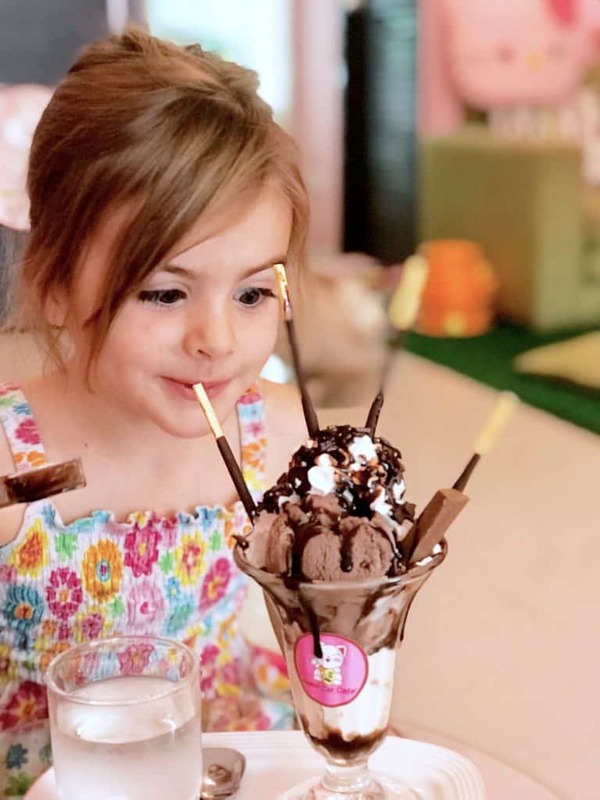 The kids ordered from the menu the mochi ice cream (in cotton candy, strawberry and Oreo flavour), a chocolate sundae and a thick shake with rainbow chocolate and sprinkles. Patrick got an espresso which came in a tiny Hello Kitty cup, which made him feel even more macho than being accompanied by four females to a pink cat cafe already did. Would we recommend Neko cat cafe? A resounding yes. It is a lovely cafe, the cats are happy and contented and it is a great atmosphere with fab refreshments. 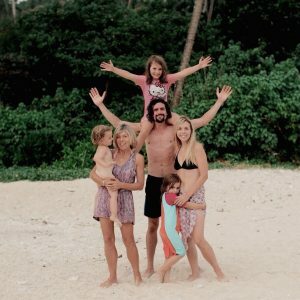 It is one of the best things to do in Phuket with kids hands-down and hasn’t become a tourist trap yet so get there if you can! Soi Mali, Amphoe Mueang Phuket, Phuket 83130 (around 20 minutes from Kata).